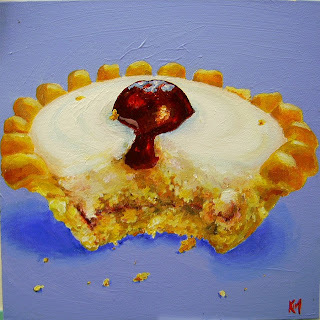 Lizzie's Tasty Journey: Tom's bday nosh in Ilkley and a Bakewell treat. Tom's bday nosh in Ilkley and a Bakewell treat. Being back in England has given us both a real appetite! Luckily then, we were given some birthday money by my Dad and Janis towards a nice lunch for Tom's quarter century birthday. We spent the morning shopping in Leeds, and it was mighty cold but this just helped us build up a hunger. By the time we got to Ilkley we were looking forward to our lovely dinner. Ilkley is a lovely little town in North Yorkshire between Skipton (Tom's home town) and Leeds. It has a real dales feeling to it and a walk by the canal with the ducks and browsing the boutique shops makes for a lovely afternoon. We have been a few times for fish and chips and funnily enough my Dad told me afterwards he and my Grandad went to the same spot a few times. We chose Farsyde which was perfect during Tom's 21st celebrations so we decided to return and try the lunch menu. The good thing about this restaurant is it is good honest food cooked in a true British style so it was really a treat for us recent re-patriots! So what was on the menu?? Starters, was a gorgeous date and blood orange salad stuffed with warm goats cheese. Cheese is something I have really been missing as Korea is not big on dairy. The dates were so delicious, I am going to have to try that myself. Tom chose the seafood salad which was a really delicately arranged and more importantly a flavoursome dish. Tom of course chose the steak, which came with mashed potato and caramalised onions. Then he ordered chips just in case he missed out, they were delicious though! We were too full to have a dessert, but we planned to go home and have the bakewell tart I picked up from my weekend in Bakewell at the bonfire! Thanks for that little treat Derbyshire! Bakewell Tart with icing topping. 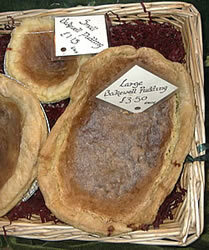 For anyone who is interested... Bakewell tarts are delicious and should definately be attempted by any amateur baker. 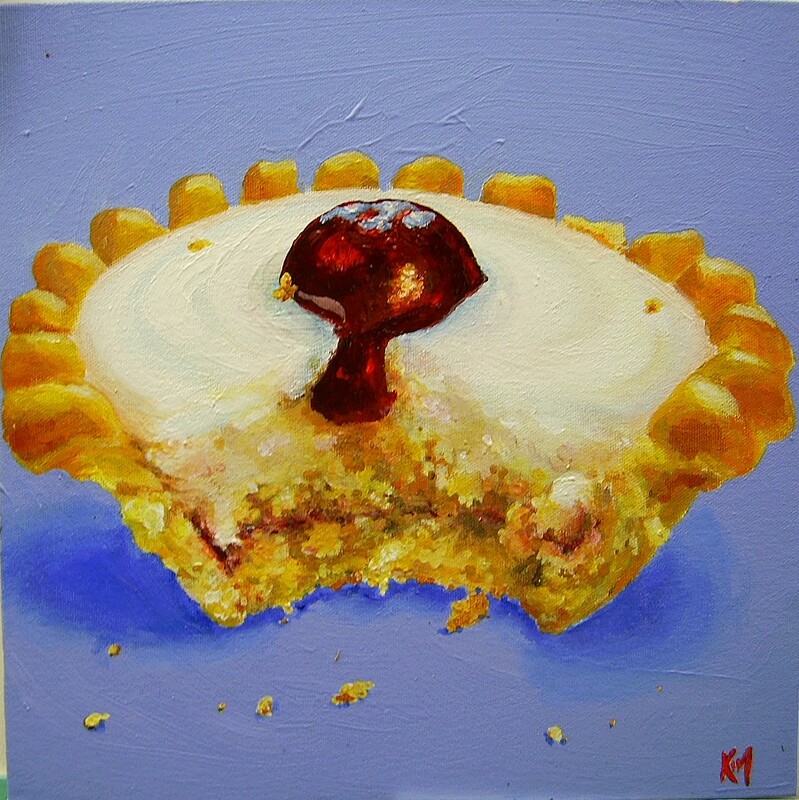 There are three basic stages, the pastry casing, the jam filling and the almond batter topping although some are iced with fondent and decorated with a single cherry. I have included the Bero recipe link for anyone who wants to attempt it but you won't beat the original bakewell shop. The alternative Bakewell puddings however are a different dessert made with a bowl-like pastry case filled with jammy filling.